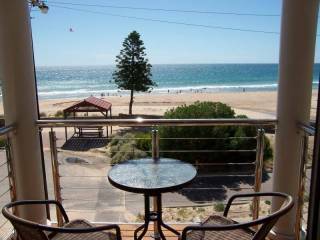 Christies Sea Urchin is a modern holiday town house in a fantastic location, right on the beach. 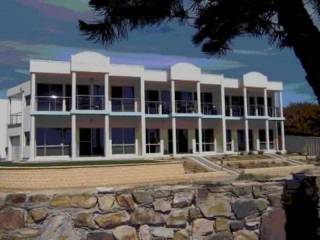 It is fully equipped with new appliances including a dishwasher and washing machine. All linen, towels, and a starter kit of tea, coffee and provisions for continental breakfast are supplied. Upstairs there is a queen size bed in each bedroom and downstairs there are two double fold out futons to provide extra sleeping. Drive, cycle or take the walking trail along Witton Bluff to the unique reef, jetty and restaurants of exquisite Pt. 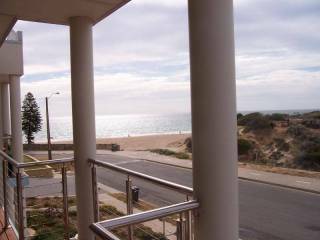 Noarlunga or the quaint Beach Rd. shopping precinct, the Colonnades movie theatre and shopping complex. Venture a little further afield to the Reynella and McLaren Vale wineries, historic Willunga, or take a scenic drive through the hills through Clarendon, Meadows and Strathalbyn, or perhaps through Cherry Gardens to Stirling Aldgate and Bridgewater. Relax on the beach, swimming, fishing, surfing or snorkling on the reef. Have a barbecue, and relax on the balcony with a glass of wine and just enjoy the view.